In a village called Slivna in the centre of Slovenia, you can experience treetops as naturally as possible. The guys at Linija sport will prepare a meadow supper and a treebed (on a platform or a hanging bed) in a chosen tree. 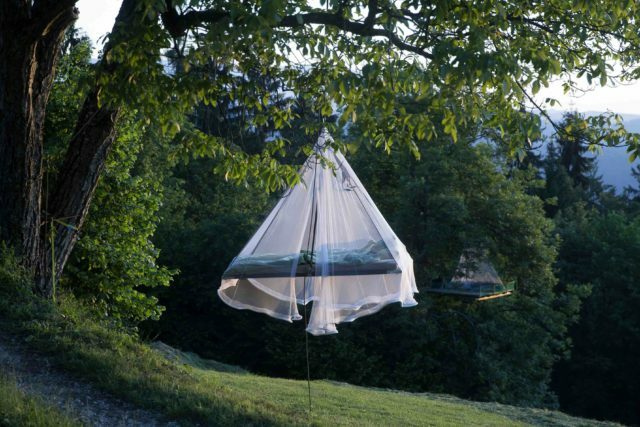 After supper you will be invited to climb into your treebed to spend the night. In the morning, you will be awaken by nature. Your breakfast basket will be waiting for you at the edge of your treebed. COMPANY: Linija sport, Miloš Kimovec, s.p. Linija sport, Miloš Kimovev s.p.